When considering a business process improvement (or some other) initiative, we also want to communicate to motivate the right behaviors. However, initiatives often seem to use buzzwords or use titles familiar to employees that have seen such initiatives come and go (the key word being “go”). What is Design for Assembly? When it comes to ensuring a task or deliverable is accomplished, we often see the word “owner” used. Perhaps surprisingly, there really is no true ‘owner’ of anything in the context of program or project management. We can begin explaining this with two adjectives: responsible and accountable. In this article series, we covered several topics in the area of product development and project management. 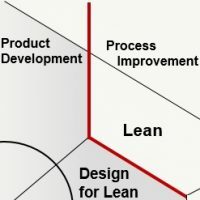 We will now begin to explore process improvement with the topic “Design for Lean”. 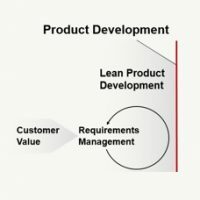 While design for lean may be a subtopic within product development, it helps us understand operational risks, operational costs, enables operational planning and process improvement. 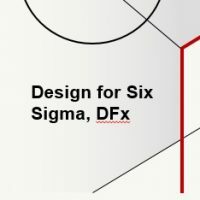 In a previous article, we defined design for six sigma (DFSS) as a thought process focused on maximizing customer value and minimizing cost. More specifically, DFSS is used to reduce variability in product performance (thereby increasing value), using analytical models and our knowledge of manufacturing variability to enable specification limits on difficult-to-manufacture tolerances to be increased (thereby reducing cost). For the majority of organizations, long-term success is tied directly to the new product development process. Tomorrow’s revenue and growth are tightly bound to how successful you are at launching new products. Offering genuinely valuable, high quality products is, more than ever, the best way to capture market share. Also, more investment up-front minimizes overall expense. …fewer design iterations to achieve the same goals (reduced time to market), more efficient production and delivery processes (reduced operating costs), fewer defects & warranty costs during the entire product life cycle (increased customer satisfaction). In this weeks article, we’ll explore how the three disciplines (product development, process improvement and project management) can enable change management. First, it’s worth reflecting on how these disciplines fit together. Starting with product development our goal is to understand customer value, and to optimize the product (or service) by maximizing customer value and minimizing cost. It can be seen that, process improvement naturally complements this objective as way to further reduce costs. In addition, project management establishes how product development and process improvement is planned, executed, controlled and monitored. Now let’s look at some key attributes of change management, along with elements of the three disciplines mentioned above.